Home is where the geometric decor is. 1. A simple table lamp that will make you break out into a rendition of "This Little Light of Mine" every time you turn it on. 2. 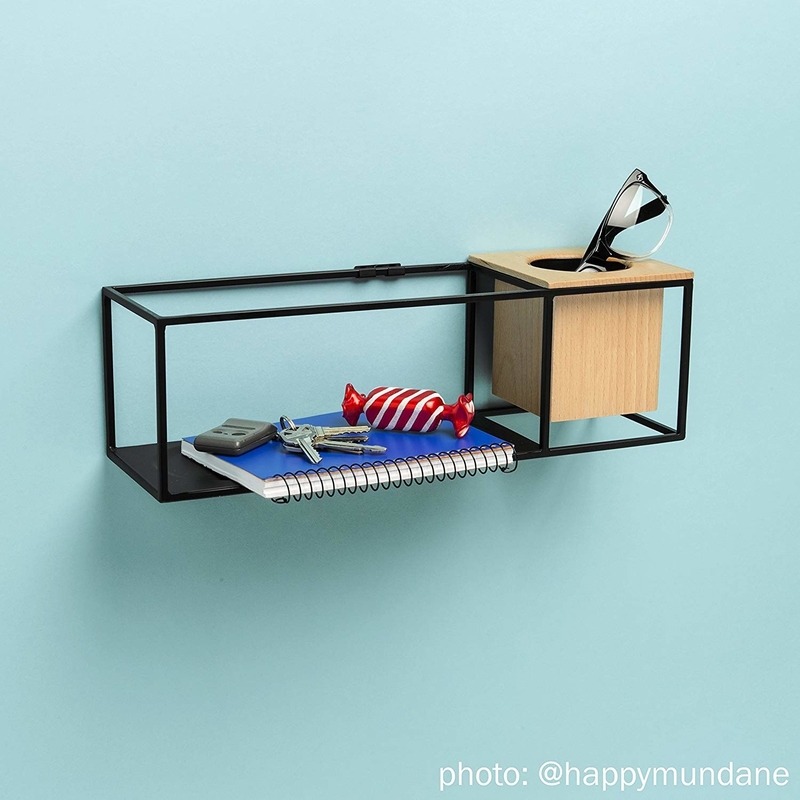 A set of floating shelves to make your books appear light as a feather, stiff as a board. Get a set of three from Amazon for $25.16. 3. A macramé hanging mirror so you can keep your design clean AND clean up your lipstick on the way out the door. 4. A garment rack with shelves for displaying your clothes like the works of art they are. 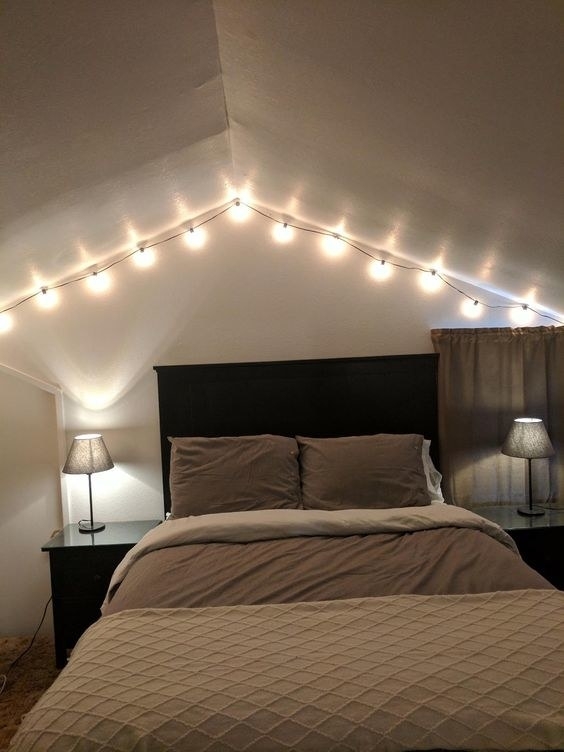 Promising review: "We live in a very small space with tiny closets and this has helped us out so much. It's very strong and was easy to assemble. It can hold quite a lot of clothes. I've got a few winter jackets on it and two hoodies on each of the hooks, and it can take the weight fine. Definitely recommend!" —Candace P.
Get it from Amazon for $36.99 (available in two colors). 5. A set of wall hooks that fold up when you're not using them and transform into a seamless work of wall art. Get it from Amazon for $23.99+ (available in three colors). 6. 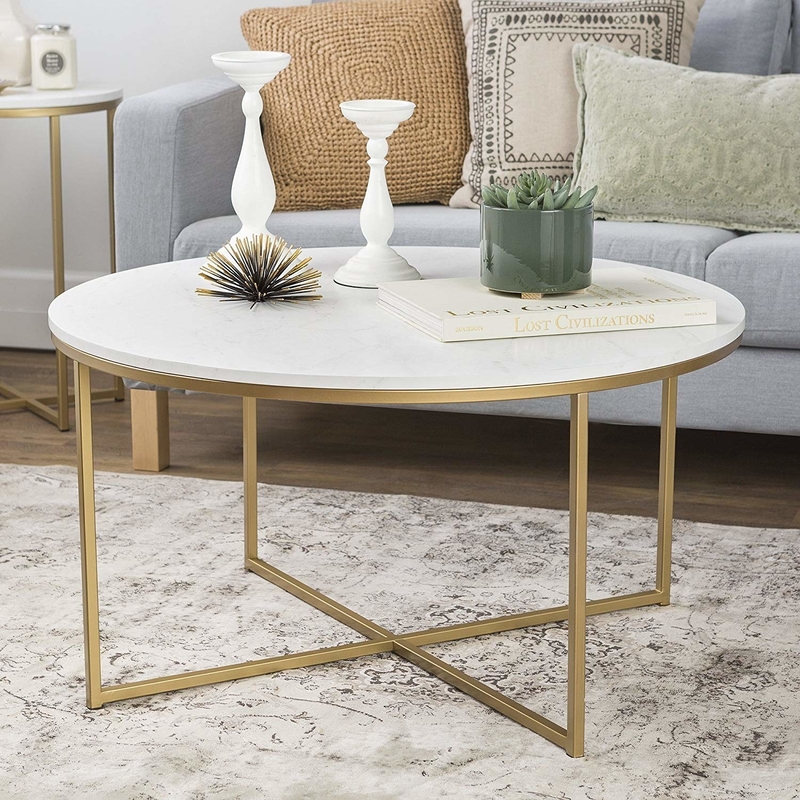 A (faux) marble coffee table and side table to lend some ~museum vibes~ to your living room. 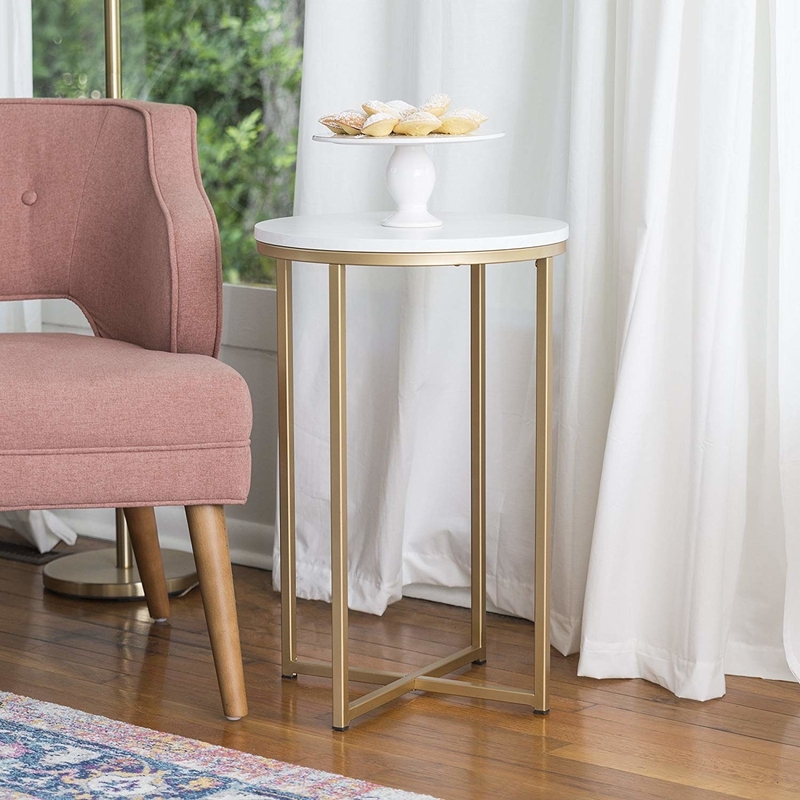 Get the coffee table from Amazon for $122.89 and the side table from Amazon for $66.24. 7. A magnetic knife bar so you can save counter space and display your blades in a place of honor. 8. A banner that explicitly states your life motto, as if it wasn't clear. Get it from TheWanderingOrion on Etsy for $31.79. 9. 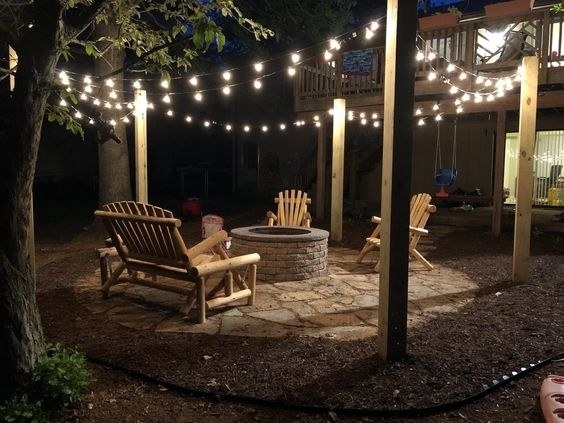 A set of string lights, because what is light if not a wave thundering through the universe at three hundred million meters per second *and* great decor! 10. A kraft paper roll for making notes, recipes, and lists more accessible and elegant. Welcome to the gorgeous, modern restaurant that is your kitchen. 11. A pair of metal grids to lend a semblance of organization to the whirlwind of your home desk. Get a two-pack on Amazon for $26.99. 12. A ghost acrylic squatty potty — you heard it here first, pooping is ~aesthetic~ now. 13. A sleek metal bed frame that is a literal step up from the "minimal" look of just having your mattress on the ground. Get it from Amazon for $135.99+ (available in twin–king sizes and three colors). 14. A wood bed frame if you want the same modern feel but listen to a lot of Bon Iver. Get it from Amazon for $136.95+ (available in twin–king sizes and two colors). 15. A vortex chair so cool, you'll be kind of intimidated by her at first, tbh. Don't be — she's nice once you get to know her. Get it from Amazon for $61.84+ (available in eight colors). 16. 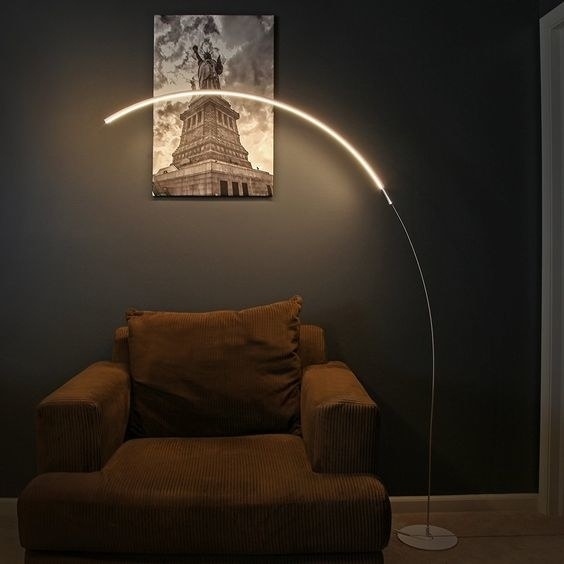 A unique light that'll put you somewhere under the rainbow. Get it from Amazon for $89.99+ (available in two colors). 17. A velvet floor pillow because if you're like me, you're an adult-child who'd like to be on the floor 100% of the time always. Get it from Urban Outfitters for $49 or two for $79 (available in 10 colors). 18. A stylish gold wine rack so you don't get bored storing your Bordeaux. Promising review: "Perfect for my kitchen counter. Well made, sturdy, and attractive. The elegant design of the wine bottle rack makes it a great display piece that lets me be proud to have out." —Deanne L.
19. A tufted rug to keep your tootsies warm while your room stays lookin' ~cool~. Get it from Urban Outfitters for $39+ (available in three sizes). 20. A humidifier and diffuser that will effortlessly blend in with your decor even as it works like a champ to keep your air well-fragranced and your skin from drying out. 21. A two-piece retro desk whose hairpin legs are the *pin*nacle of minimalist style. 22. A cursive wire sculpture to add a little loopy touch to any room. Get them from Anthropologie for $48+ (available in three phrases) or a similar one on Amazon for $37.75. 23. A set of stackable dishes that will transform the chore of putting clean kitchenware away into an oddly satisfying event. Get a 20-piece set from BuzzFeed's Goodful line, exclusively at Macy's for $89.99 (available in two colors). 24. A numberless clock because time is a construct that doesn't need to be taken too seriously imho. Get it from Amazon for $11.99+ (available in four colors). 25. A toilet paper holder to lend a touch of whimsy to an otherwise drab storage situation. Do you think Ariana Grande stores her toilet paper in the shape of a cloud? I do. Get it from Amazon for $125. 26. A corner shelf for storing knick-knacks and plant-babies galore. Get it from Amazon for $19.80+ (available in five colors). 27. A midcentury modern couch Don Draper would definitely get frisky on, let's be honest. Get it from Amazon for $229.99 (available in four colors). 28. Geometric wallpaper to spice up your wall decor with *minimal* effort. Get it from Wayfair for $1.62/sq ft (available in five colors). 29. A set of artificial succulents with vases so you can benefit from the calming presence of greenery without the demanding commitment of having to water them a tiny bit once a month. Promising review: "Looooove these little guys. They look incredibly real and give some life to the apartment. I have these on my coffee table and a few in the bathrooms. I get compliments on them all the time — just bought more for my sister!" —Lee A. Get a set of four on Amazon for $24.99. 30. A splurge-worthy cashmere throw from J.Crew's new home line to lend some timeless luxury to your favorite cozy nook. Get it from J.Crew for $299 (available in 10 colors). 31. A mid-mod chair for making all of your vintage decor dreams come true while staying on that budget you finally made. Get it from Amazon for $87.39 (available in three colors). 32. 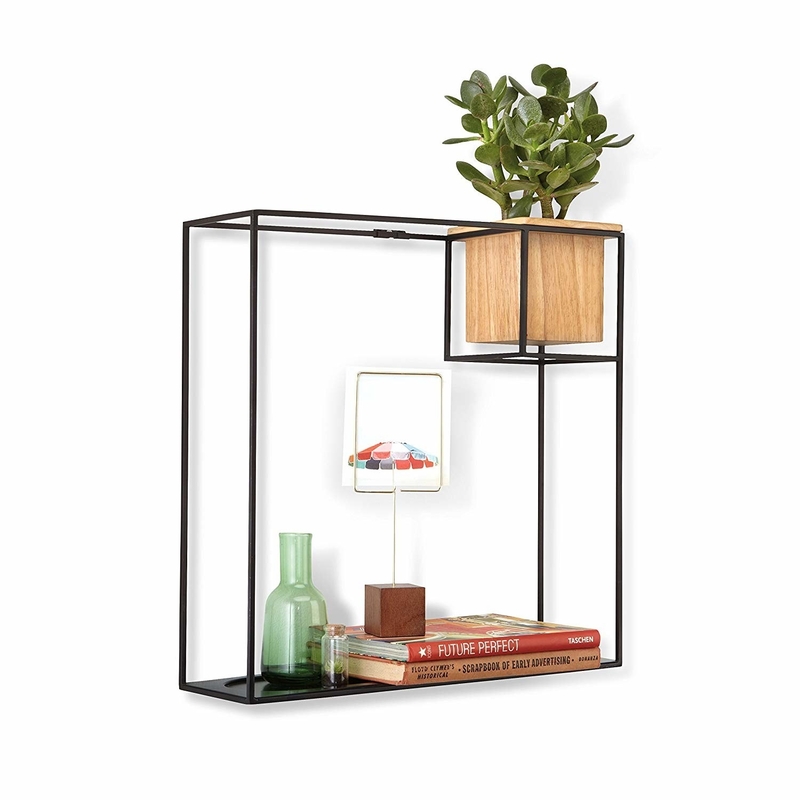 A cubist floating shelf that's industrial, but make it fashion. Get the small shelf from Amazon for $40 and the large shelf from Amazon for $50. 33. A set of polyhedron candle holders to serve as a beautiful reminder of when you totally nailed geometry in 9th grade. Get a set of two from The Home Depot for $31.95. 34. 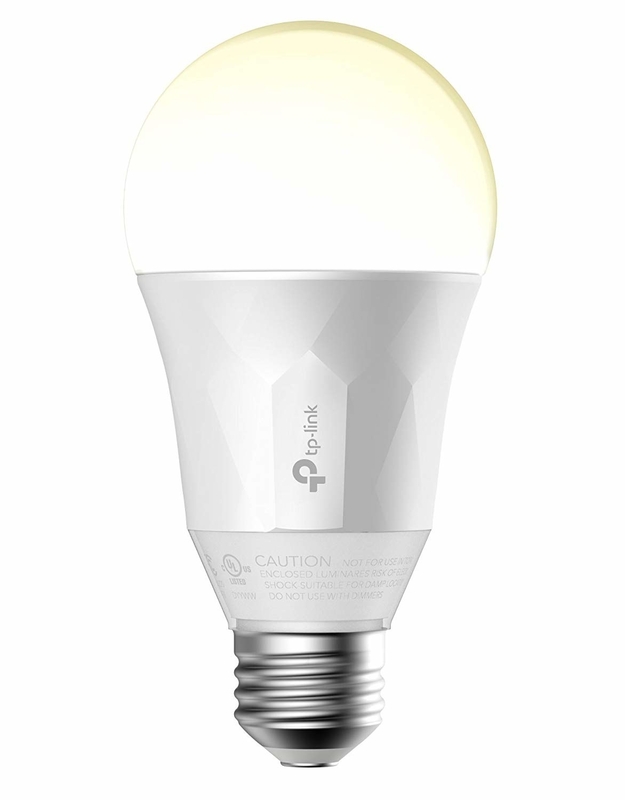 A smart lightbulb because it's probably time for all of us to update something we use every day that was invented in 1879. 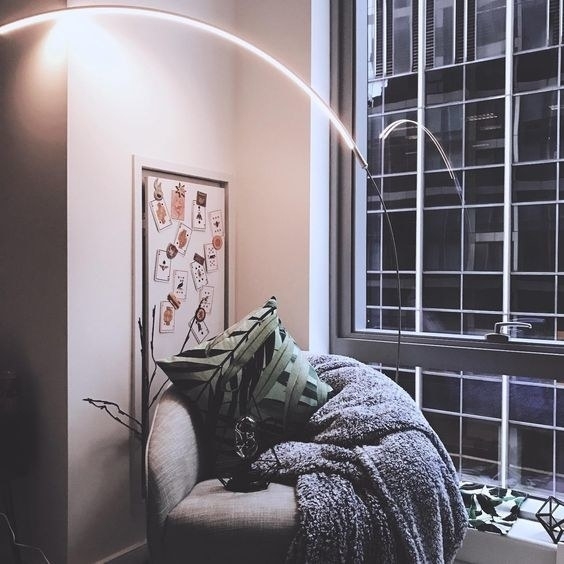 The bulb can be controlled from anywhere with the Kasa app, is compatible with Amazon Alexa, Google Assistant, and Microsoft Cortana, can be scheduled to automatically turn on or off at certain times of day, and is dimmable, as shown above! Get it from Amazon for $19.80 or a color-changing version for $49.95. 35. An acrylic vinyl holder, so your records can finally have a home that isn't a milk crate. Promising review: "I ordered two of these to display our record collection of about 65 records, which was stacked under our buffet. I no longer wanted our vinyl stacked, and I was stick and tired of others flipping through them on the floor and then leaving them in a state of chaos. I have to say, we absolutely love these and will likely be purchasing more in the near future! We live in a small bungalow and we are limited on storage. We are also planning to move this year, so I did not want to purchase storage furniture. This was my quick solution, and they have exceeded my expectations. I love the practical, minimalist design. My friends can now easily flip through our collection and play records without using our floor. If you are contemplating this purchase, I highly recommend purchasing!" —Kaci B. Need even *more* decor?! Lookee here!